There's a reason we look forward to her outfits every single season. 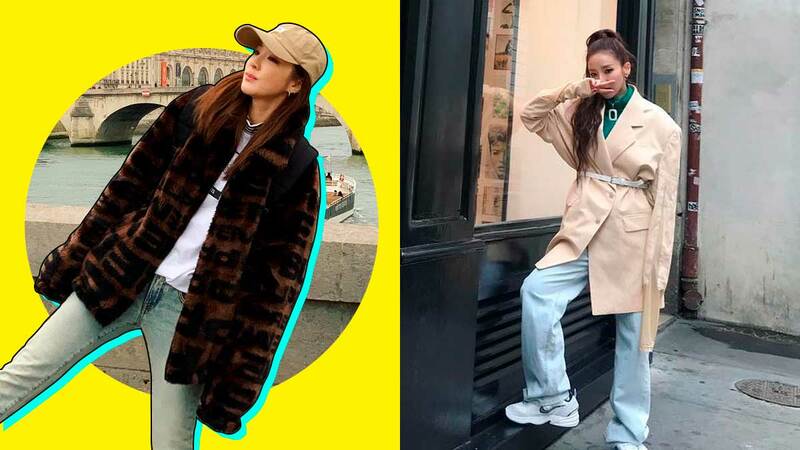 Sandara Park is Paris Fashion Week's Hallyu-hot ace yet again. For Fall/Winter 2019's round of ready-to-wear runways, she turned up front row in another ultra-covetable set of flawless designer looks—below, check them out and see for yourself why all eyes stay glued on her each and every season. First up, here's Dara looking simple, dainty, and demure at Chloe. Seen here, Dara posing with pal Kozue Akimoto, a Japanese celeb we love for her perfect, jet-black fringe and perpetual cat-eye. The Off-White show saw Dara werking hip-length tresses, a gloriously oversized logo sweater, and—the piece de resistance—thigh-high leather boots in an ocean-blue hue. Check out Dara partying with Tokyo cool girls Kozue, Jozette, and Emma. In true style chameleon fashion, Dara once again went the ladylike route in funky, beige tweed Balmain. We're obsessing over these hair changes, TBH! At Vivienne Westwood, she flaunted tousled, dip-dyed locks over a dramatic black leather trench coat. Expect Dara to serve #lewks even during free time with her team! Random Paris hangs are the best. Which look from Dara are you loving?